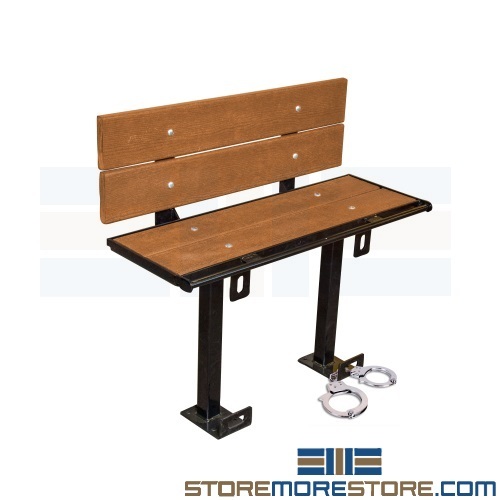 For enhanced security and durability, prisoner restraint benches with handcuff rings are perfect for temporary detainment in transfer centers and holding areas, courthouses, airports, hotels, hospitals, and more. The prisoner restraint benches provide an easy way to humanely and safely secure detainees from doing harm to themselves or others. Its steel and high density recycled plastic construction is also guaranteed for long-lasting use and is environmentally friendly. The included cuff bar and cuff loops are easy to use with handcuffs, so there is no need to buy extra equipment. Benches include all mounting hardware and anchors needed for do-it-yourself assembly. Upkeep is also quick and easy since the high density plastic is smooth and easily wiped or rinsed to maintain cleanliness. Depending on your needs, you can also choose from various bench lengths, sizes, backs, and colors. 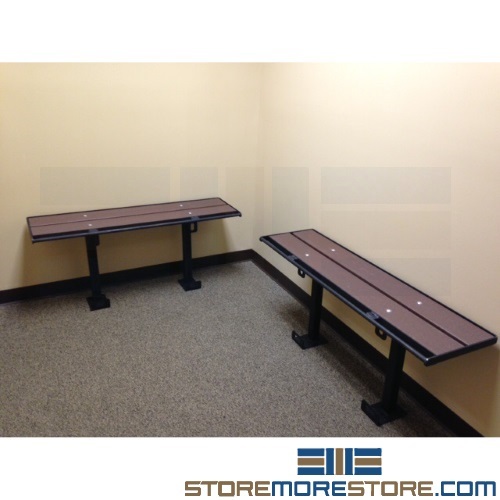 Click here to buy prisoner restraint benches for detention centers online. Allow 7-12 business days for shipping. For further assistance, call us at 1-855-786-7667 or send us a message to speak to one of our specialists.